It’s about time that I caught up everyone on my most recent film views. Below are several mini-reviews for some of the films I have seen and delayed on reviewing. Starring: Chloë Grace Moretz, Mireille Enos, Jamie Blackley and more. 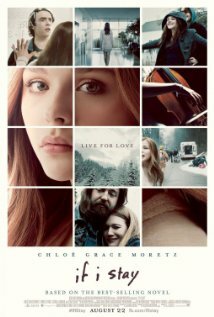 Review: This book-turned-movie about a young girl after a tragic car accident leaves her orphaned and in a coma takes audiences along with her on her out-of-body experience and trip down memory lane as she must choose to fight for life and stay among the living. Expecting this to be a more linear film than it was, the amount of time spent in flashbacks as opposed to the out of body experience made it a much more different film with more tear/heart jerking moments than perhaps desired. I was impressed by the cast (especially the parents and how “real” they were) but ultimately had hoped for a different style in which the story was told. Less “Ghost” and more “The Fault In Our Stars” with a spin of “Save the Last Dance” with too much kissing, plenty of nice music (hooray for cello playing!) and predictable emotional drama overload. Beautiful with a hint of boring. Starring: Denzel Washington, Melissa Leo, Chloë Grace Moretz and more. Review: Directed by Antoine Fuqua (Training Day, Brooklyn’s Finest, Shooter) The Equalizer, based on the tv series of the same name, brings Denzel back after the recent duds of Safe House, 2 Guns and Unstoppable. Reminiscent of another Denzel favorite Man on Fire, The Equalizer is more than just a film following a single man pent on righting wrongs and conducting Punisher-style vengeance. One of its greatest strengths is utilizing the main character and his relationships with the many supporting characters in the film. Fuqua skillfully uses all the characters to blend the story. Some may balk at the continued use of Russians as the villains or the little amount of time that Chloë Grace Moretz is actually in the film, but all the elements of The Equalizer worked for me and gave me almost all of what I wanting from the film. 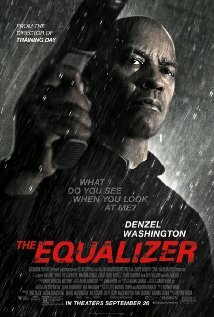 A definite must-see, especially for Denzel fans. Starring: Ben Affleck, Rosamund Pike, Neil Patrick Harris, Tyler Perry and more. Review: Directed by David Fincher, this is one of the more anticipated films of the year and starts off the “Oscar-bait” movie season with an impressive cast and equally impressive performances (most notably Rosamund Pike’s). This mystery told on the screen is both engrossing and unrelenting as it unravels. Twists and turns and timely reveals make for a great presentation of this best-seller novel on-screen. A bit longer than necessary I felt the pacing, for me at least, worked well much like a book that builds up towards its reveals and climax. Fincher somewhat seemed unsure of where to end it as it could’ve ended several times before it did and the final ending, while plausible, is anti-climatic at best. Fans of the book and fans of Fincher will find much to enjoy in this latest starring Affleck and more. Starring: Ward Horton, Annabelle Wallis, Alfre Woodard and more. Review: I thoroughly enjoyed The Conjuring and toted it in my review as possibly the best horror movie of the past decade. So, when this prequel was announced focusing on the creepy doll that was featured in The Conjuring, my eyebrow raised in speculation. Now, after having seen it, my eyebrow is raised in disgust and disappointment. Annabelle is what you’d expect: a cheap knockoff that seeks to earn praise and profit while riding on the coattails of a well-crafted predecessor and on the dependency of moviegoers hoping for scary movie thrills in the month of October. Full of every single creepy cliche that, in turn, is not scary (including shock-and-scare moments, completely predictable plot points and characters, unoriginal copycat use of vices such as empty creaking rocking chairs in motion, baby mobiles, doors slamming and more) Annabelle brings nothing new to the genre/franchise and bores with its unoriginality, predictability and static acting. Just like the characters in the film, the filmmakers should have just left “well-enough” alone! Starring: Liam Neeson, Dan Stevens, Brian ‘Astro’ Bradley and more. Review: Not your average light-hearted Sunday afternoon viewing. A Walk Among the Tombstones is a dark watch that can only be described as Super Intense and Intensely Suspenseful. Think Prisoners meets Silence of the Lambs meets Taken meets Se7en and you’ve pretty much nailed it. Not particularly Neeson’s best but it does keep the attention. Placed in the 90’s, the film has the feel of the decade along with the cinematography to boot. The story is not new but director Scott Frank (The Lookout) pushes the limits a few times in making audiences feel that uneasy need to squirm in their seats as the creep level increases along with the spine-tingling feeling of the actual plausibility of the events as they transpire. Not terrible, not great…but also not a walk I’m wanting to take again anytime soon. Starring: Dylan O’Brien, Kaya Scodelario, Will Poulter and more. Review: The latest of the Young Adult genre proves to be one of the best! We’ve had previous self-proclaimed “Twilight-killers” that have flopped such as I Am Number Four, Beautiful Creatures, The Host, Mortal Instruments: City of Bones, The Giver and, dare I add, Divergent, but The Maze Runner succeeds where so many have failed. Bringing together elements of Ender’s Game, The Hunger Games and its own twists, The Maze Runner blends action, mystery, adventure and characters into this best-seller turned movie and it is a wild ride indeed. Questions lead to answers that lead to more questions in this maze of movie that will have you running to see the release date of the expected sequel once the credits roll. I appreciated the fact that the film did not force any unnecessary romance or political overtone or overpowering unlikely outcomes and just told its story in a way that is both entertaining and nail-biting. Tons of close-calls and expected character types, but to see this film is the right call. 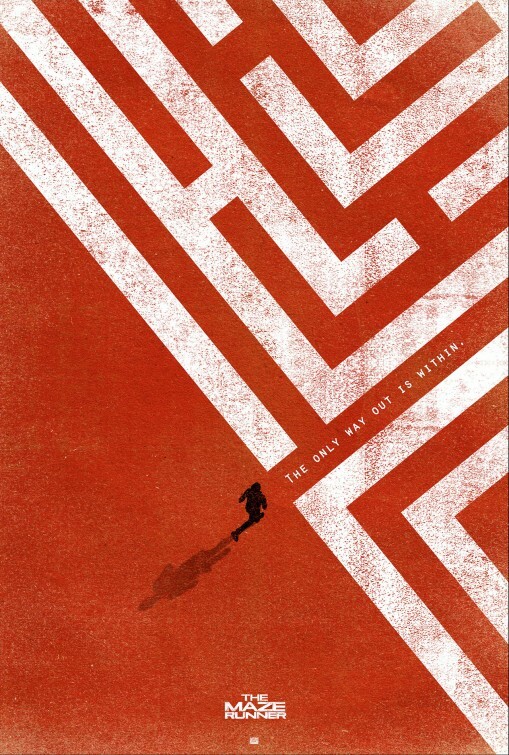 Run to The Maze Runner and enjoy, but be warned, when the ending comes…you will be left wanting more for good reason! Hi T! Great mini reviews here. 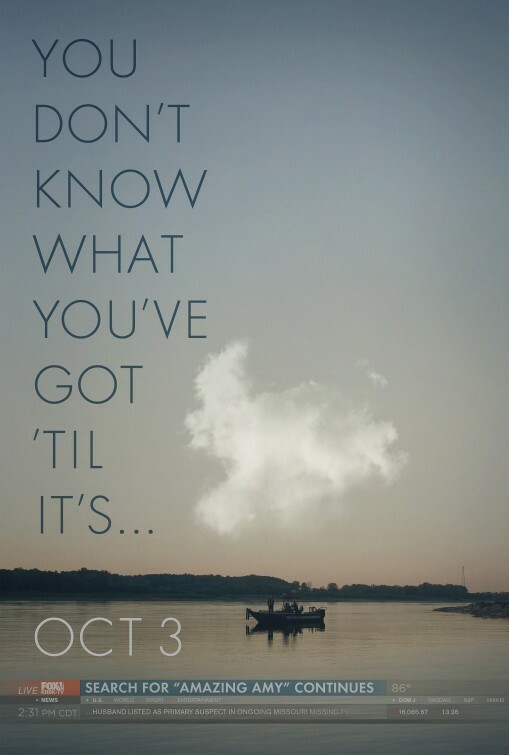 I like Gone Girl more than you, and I’m glad I didn’t know the twist as I haven’t read the book. I thought the performances, esp. Rosamund Pike, was excellent! I wanted to like it more. I couldn’t wait for it to end and didn’t like the end after going through the whole story. but, yes, Pike was excellent indeed. Agreed with you and the final few reviews. Gone Girl was solid with a wishy-washy ending, Annabelle was a cheap, lazy cash-in, Tombstone was a solid drama and Maze Runner genuinely surprised me with its quality.